With the convenience and security that electronic document management systems provide, more and more companies are making the switch to incorporate this new technology. Utilizing digital documents will allow you to quickly access any desired document while also saving you physical work space. The added and more important benefit is the security that electronic files have as opposed to the outdated, physical hard-copies that so many industries still use. The dangers of using physical copies that contain confidential or sensitive information can be a recipe for internal theft and visual hacking. Visual hacking is the obtainment of private information by simply gaining visual access to any documents or files that are left out in the open. Here is a video that outlines how easy it is to become a victim of visual hacking. 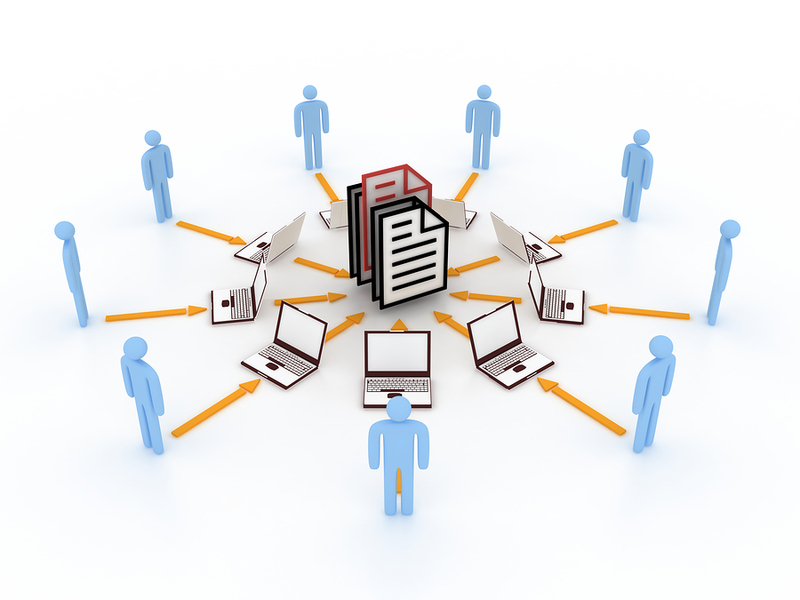 By using an electronic document management system, you can add a layer of security to your private files. 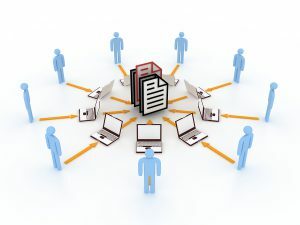 In essence, an electronic Document Management System (DMS) is a program where your hard-copy files are scanned and stored in an online database. These electronic files are then keyword coded for quick retrieval. Not only will this help your organization run more efficiently, but you will also have the added benefit of increasing the security of restricting access to these documents. In a typical office, paper documents are kept in filing cabinets enforced by only a small lock, or sometimes no lock at all. This primitive way of storing your private documents is a surefire way to become a victim of visual hacking and data leaks. An electronic filing system can allow you to keep your documents password-protected on a secure cloud storage system. There is even the option of allowing different employees only the appropriate amount of access by file types. When using an electronic DMS, security and convenience is one thing, but there are plenty of other benefits as well. With an electronic DMS, your organization will have more office space. Less physical copies (and filing cabinets) means open spaces for more productivity. Electronic copies stored in a secure, cloud service also means quick access to these documents for you and your employees. Now you can refer to an online file and have your employees, possibly in a different location, view the same files simultaneously. There is also the benefit of keeping your files safe from any physical dangers, including fires and floods. Natural disasters (or even a sprinkler system gone haywire) can render all of your physical documents useless. With an electronic DMS, your files remain safe on the cloud storage system and can be retrieved in perfect condition at any time or location. Record retention laws are put in place that outline a period of time that records must be kept on hand for different industries. Instead of having boxes of files in the back of your office kept in an unorganized, and potentially dangerous, manner, you can store them electronically and find them quickly when you need them. And finally, an office using an electronic DMS promotes a paperless and environmentally-friendly workplace. Not only is this great for your company’s public relations, but your organization can actually save money by using less paper each year. The Paperless Project reports that the average office worker uses 10,000 sheets of paper every year! Imagine the savings when cutting a large percentage of these costs out of your yearly budget. How Do I Make the Switch to Digital Copies? Record Nations works with a vast network of local service contractors who specialize in helping companies make the switch to a fully electronic or hybridized DMS. These local companies are trained to make the transition as fast and easy as possible, while also remaining in compliance with your company’s industry standards. Get Free, No Obligation Quotes from Record Nations Today! Record Nations wants to keep your information secure while still allowing you quick access to your files. With the switch to an electronic Document Management System, all that is possible! To get your free, no-obligation quotes, give us a call at (866) 385-3706 or use the form on the right. You will be contacted in just minutes with offers from your local service providers.